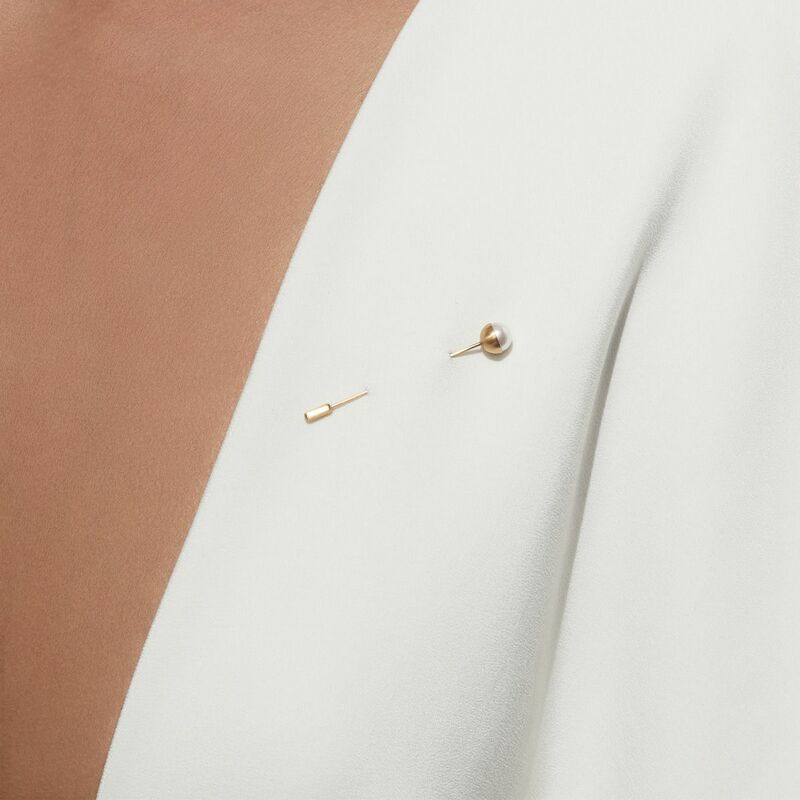 This lapel pin features a pearl set in a half sphere of gold at a 0 degree angle. 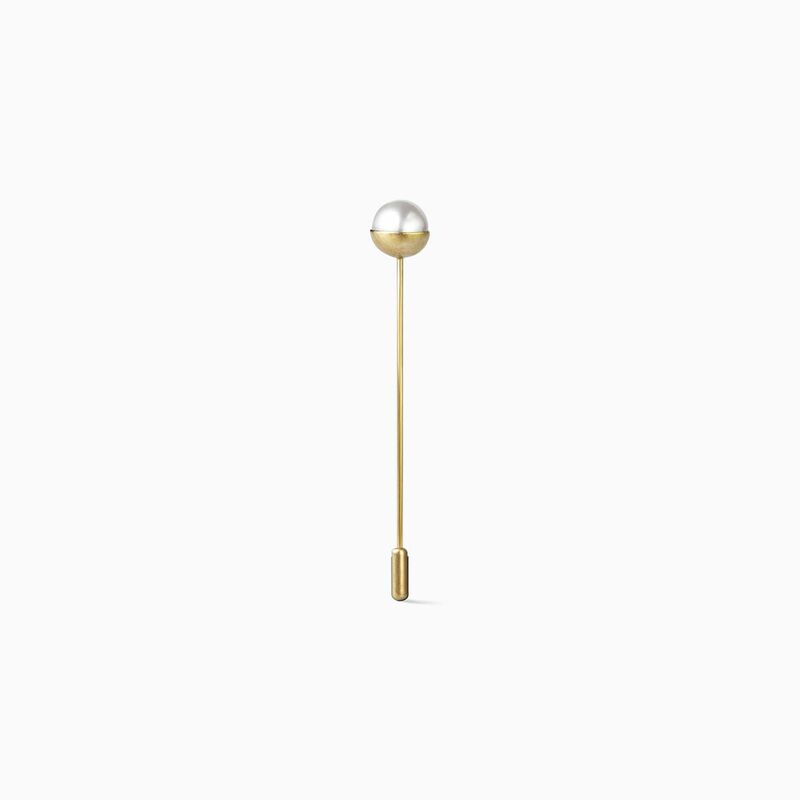 Comes with an 18K yellow gold pin stopper. Also available in pearl setting angles of 45°, 90°, 135° and 180°.